Most of the home improvement projects are better left to a commercial contractor. You can read all the articles and watch all the online tutorials you want, but there are just some things that only intensive training and experience can teach you. There is too much at stake when remodeling or improving your house to take any chances with the quality of this work. If you know anyone who has had some work done on their home, ask for a recommendation. If someone is willing to share the name of a general contractor, they have had a good experience with them. No one is going to recommend someone they felt lukewarm about or had a bad experience with, so you can trust that the recommended contractor has a history of doing good work. Of course, the tips about who to avoid are just as valuable. When people have bad experiences, they are going to be even more vocal about it because they are going to be frustrated or angry. Learn all you can about what made the experience good or bad so you can make an evaluation for yourself. Maybe your friend or co-worker got lucky and had a good experience with a local home contractor, but if you check the online reviews, the contractor doesn’t have such a good reputation. You might find that the contractor is known for shoddy work or for skipping out before the job is completely finished. It is important that you read several online reviews (as many as you can, really) and that you check with agencies like the Better Business Bureau to see what former clients have to say about the general contractor. Look at star ratings, comments, and formal complaints about the contractor. The more information you can gather, the better you will be able to make a good choice for your home. Commercial contractors should have plenty of experience and should have credentials that include the proper training, licensing certification, and insurance. The more of these items you can check off, the more certain you can be that you are hiring a qualified general contractor who is going to do a good job on your house and will complete the work safely. In Arizona, the Register of Contractors oversees the licensing of all types of contractors. You can visit the site to see whether a commercial contractor is licensed and has insurance. The site also provides information about the type of work the contractor performs, any complaints that have been filed by clients, and more. Confirm all credentials claimed by a contractor before making the hire. Any commercial contractor worth his or her salt will offer some kind of warranty or guarantee on the work. Some will provide the warranty on the work itself and some will only offer the warranty provided by the manufacturer of the materials. Look for a local home contractor who offers a warranty on the work since that speaks to the skill put into the service. A contractor willing to provide a warranty or guarantee is likely a contractor worth hiring. When you are interviewing potential contractors, you will get estimates at the end for the work you want done. These estimates can fluctuate wildly once the work starts. Some will have overlooked some detail that you wanted – such as a type of material you specifically wanted to use or an accessory you wanted included – and others will have wrongly estimated the scope of the job or the cost of the materials. The best way to ensure that you don’t get any unpleasant surprises later, and that you are comparing apples to apples when you are looking at costs, is to ask all contractors you interview for a detailed proposal in writing. You’ll see clearly what you will be paying for with each contractor, and you’ll be able to identify any issues at the start, such as using the wrong materials or a contractor rushing a job to keep costs down. Your choice of general contractor will have a big impact on the success of your home renovation project. Don’t rush the process! Keep these things in mind to help you find the best local home contractor in Phoenix or anywhere else in Arizona. 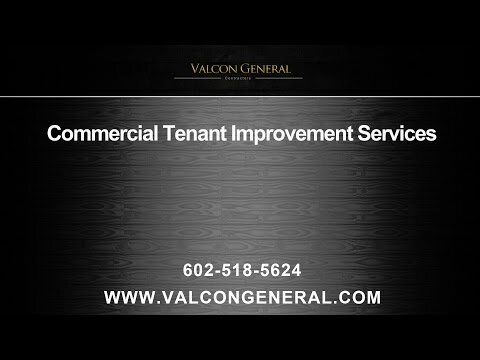 Valcon General is a trusted commercial contractor in Phoenix, serving the whole Valley. Our expert general contractors do everything from room additions to kitchen upgrades. We also perform outdoor remodels, such as for patios and guest houses, and we offer commercial remodeling services for apartment buildings and offices. Call us in Arizona today to learn more about how we can help with your remodeling project or to get an estimate for your project.